When Molly made the profound statement “This is a movement for social change. We are building critical mass” a wave of exhilaration swept through me, from head to toe. Being part of this transformative grassroots movement across Africa is the culmination of my life experience. My diverse career in journalism, my endless studies in psychology and my decades of devotion to raising children has steered me along a meandering track but now I’ve returned to my core values and quite possibly the work I was born to do. The prospect of living with the purpose of improving the quality of life for the poorest of the poor fills me with joy, love and empowerment. Ever since I was an idealistic university student in my early 20s, the struggle for human rights and social justice lit a fire in my belly. In my feisty youth I was enraged and pained by the unfairness of inequality, poverty, cruelty and suffering. So here I am, sitting in a circle with a dream team of dedicated Tostan staff - Molly, Birima, Yussuf, Marmie, Daniel and our skilful translator, Cherif - and 20 other eager participants from around the world: America, England, Australia, Denmark, India, Morocco, Senegal, Gambia, Guinea-Bissau, Sierra Leone, Nigeria, Swaziland, Kenya, Uganda and Tanzania. What a colourful mixture of cultures we are and yet we are united by a passion to make a difference. We’ve all come to this large round room, styled on an African thatch-roofed hut, at the impressive training centre and accommodation based in Thies, the fourth largest city of Senegal in West Africa, two hour’s sultry drive from the bustling capital of Dakar to be trained in the Tostan method of community-led development. “Tostan” in the local language of Wolof is an evocative word meaning “breakthrough”, the breaking of an egg, when the little chick emerges to start a new life. This unique program has been the catalyst for spreading transformation, indeed giving hope and new life to a multitude of resource-poor communities. 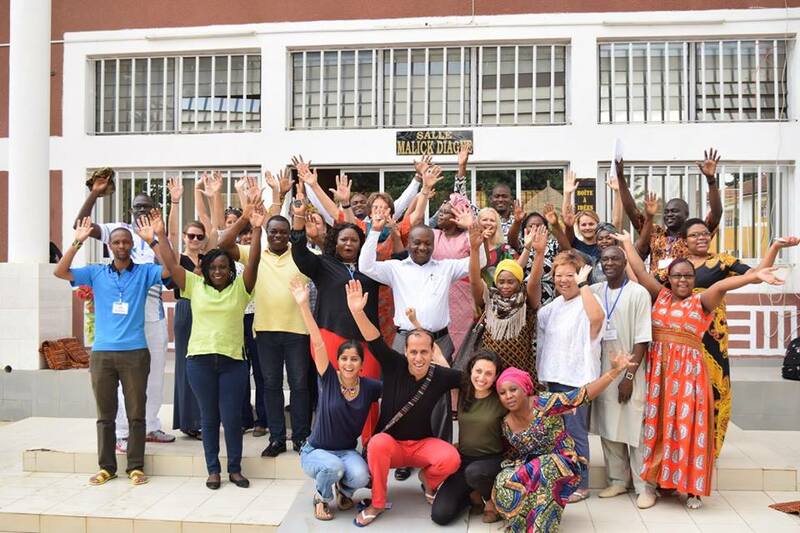 The dynamic organisation is celebrating its 25th anniversary this year, bringing education about health and human rights to hundreds of remote villages throughout West Africa, transforming life for millions of women, men and children. The fertile seeds of knowledge have miraculously sprouted life-enhancing projects in food production, clean water and sanitation, healthcare, schools, solar power and income-generating projects such as tie-dying fabric, soap making, poultry farming and the greatest achievement of all, ending the harmful practice of female genital cutting (FGC) and child marriage of precious young girls. Tostan Founder and CEO, Molly Melching is a pioneer with the rare combination of strength and tough determination mixed with the softness of empathy and compassion that comes from years of witnessing gruelling hardship and brutal deprivation and misery. An America raised in the conservative midwestern state of Illinois, Molly, as an adventurous 24 year old exchange student landed in Senegal in 1974 for a six month stint of studying African Literature at the University of Dakar. That was 42 years ago and she’s still living in her beloved Senegal, with a fierce devotion to the Senegalese people. 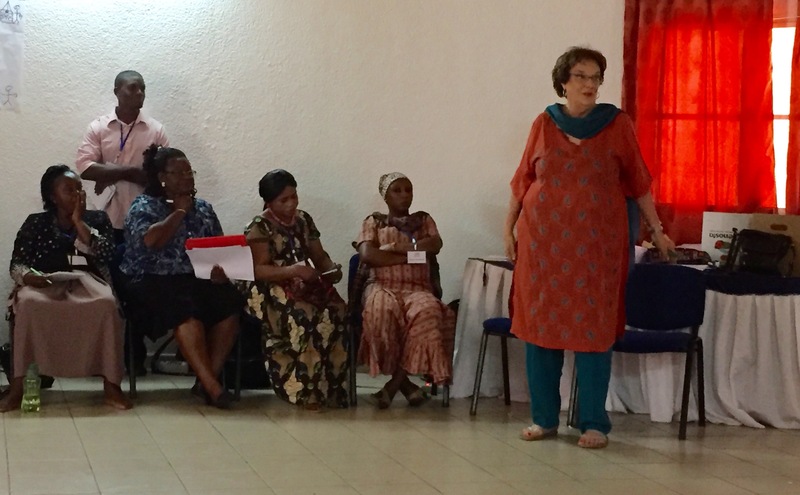 Her devotion to Senegal led Molly to master both fluent French and the traditional language of Wolof and immerse herself in the culture by living in impoverished villages and truly understanding the people and their needs and aspirations through a process of non-judgmental, respectful “deep listening”. She came to understand that ignorance, or simply a dire lack of basic information, was at the root of so much unnecessary suffering. Without scientific explanations in their own language, villagers often attributed the cause of sickness, death and misfortunes to “bad spirits”. She also realised that knowledge is the key to empowerment; specifically knowledge about health, anatomy, hygiene and germ-transmission, child development, human rights, problem solving, conflict resolution and good governance. Through her many years of patient, compassionate listening to the locals’ heartfelt values, yearning aspirations and deep desire for community wellbeing, Molly developed a comprehensive (some 2000 pages) education program to be taught by local village facilitators in their own language spread over three years. While other well-meaning charities, NGOs and government agencies have often swept into poor communities, identified needs and imposed solutions, which were doomed to fail, Molly’s radical approach was to empower villagers with essential knowledge and allow them to join the dots, make their own connections, experience the thrill of light bulb moments and discover for themselves their needs and solutions. And the approach worked! Tostan’s transformative Community Empowerment Program (CEP) has been so successful, it’s attracted funding and support from UNICEF, UNFPA, the Bill and Melinda Gates Foundation, the Carter Center, Hillary Clinton, the London-based Orchid Project and hundreds of loyal donors. The program's been scrutinised by curious academics, monitored and evaluated and won numerous prestigious awards including the Conrad N. Hilton Humanitarian Prize for "extraordinary contributions toward alleviating human suffering." Once we human beings know profound truth, we can’t ‘unknow’ it and knowledge becomes the rocket launcher for unstoppable social change. 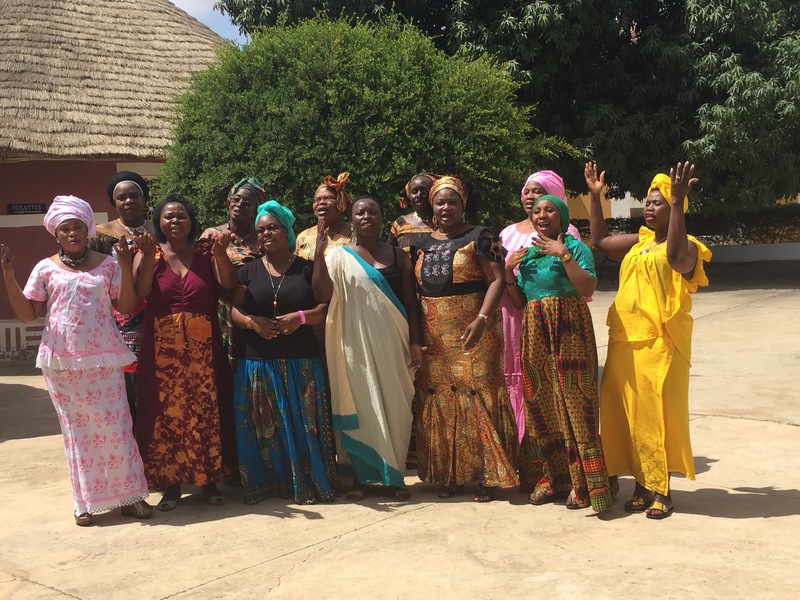 With Tostan’s guidance, village participants organised themselves into Community Management Committees (CMC) with enthusiastic elected representatives (over half of whom are women) meeting regularly to discuss problems and initiate creative projects. Village reps also began gathering at monthly regional meetings that have now become a political force. During our training CMC members joined our circle to share their experiences. The women, resplendent in their beautiful African dresses and headscarves, were once shy and silent and now travel by horse and cart from village to village as dynamic awareness-raising activists and respected leaders in their communities. We were also honoured to listen to a respected Imam explain how FGC is not condoned by the Muslim faith. We were delighted to visit two villages in the district that have been working with Tostan for several years: the Village of Keur Simbara and Keur Thiem Saware. I will never forget the warm, jubilant welcome as beautiful women and men in their colourful clothes and laughing children lined our path and clapped, drummed, danced and sung as we arrived to join their gathering to hear proud reports of their amazing projects and watch touching performances about all they have learned about human rights. Our 10-day training course was enriched with singing, dancing, theatre and animated discussions and full-on participation in the same practical, hands-on ways villagers learn new information and skills. For someone like me who usually sits in a workshop passively listening to the instructor and scribbling notes, I was gently pushed out of my comfort zone to brainstorm and perform on the spot but what a powerful way to learn! I've absorbed the knowledge deeply into my whole being, anchored by positive memories. In between sessions we enjoyed scrumptious traditional meals served by elegant Senegalese ladies in the cool, spacious dining room where the effusive conversation bubbled over the spicy dishes as we shared stories and ideas! On the final day we all presented our action plans to the group. I teamed up with lovely Millicent, an experienced nurse and midwife from Kenya, and together we created a vision for bringing the Tostan Empowerment Program to the remote rural communities where she lives. I will be writing much more about this exciting project over the coming months. Stay tuned! In the Gratitude Circle the hugs of affection between everyone were genuine and heartfelt and tears of love and appreciation flowed freely. By the time the farewell dinner celebration came around, we had all bonded and become good friends. Wearing our colourful African boubous and khaftans, each of us in turn danced across the hall with sheer exuberance and elation to music from our country of birth to receive certificates from Molly and Birima. Young Daniel and I busted some very unusual moves for Australia! And then we exchanged gifts with our “long-lost brothers and sisters” from different countries, extending the hands of friendship and solidarity across the world. My new sister Nomcebo presented me with a stunning traditional shawl from Swaziland and I gave here a pretty floral plate and chocolates from the little English village of Tenterden! 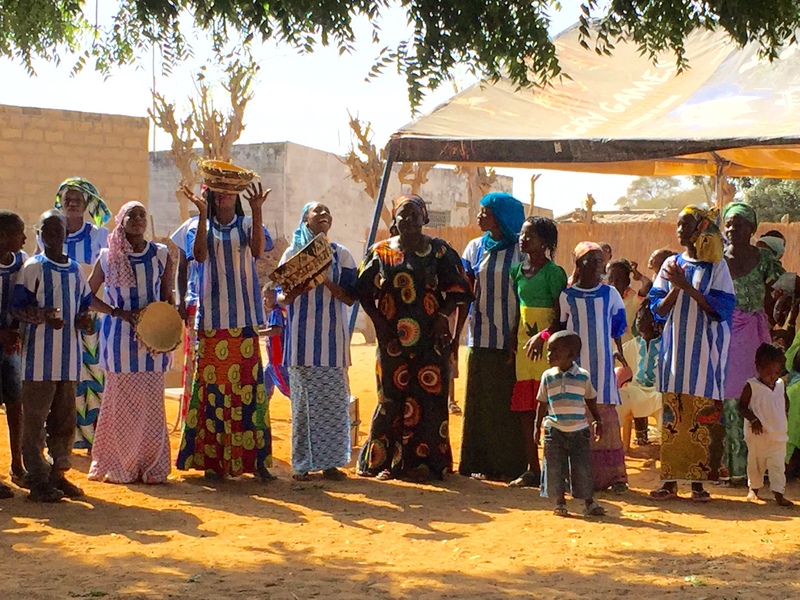 And spontaneously, as a fitting finale, our impromptu ‘African Women’s Choir’ sang a rousing verse of You Raise Me Up to Molly Melching, a fearless champion of social change, who has become our inspiring hero, empowering us all to take the transformative Tostan program and principles of human rights to poor communities everywhere.